The New York Yankees are one of the biggest franchises in all of sports and they boast fans across the globe. Of particular note, the modern dynasty put together four World Series titles in just five season with a lineup of stars and fan favorites. 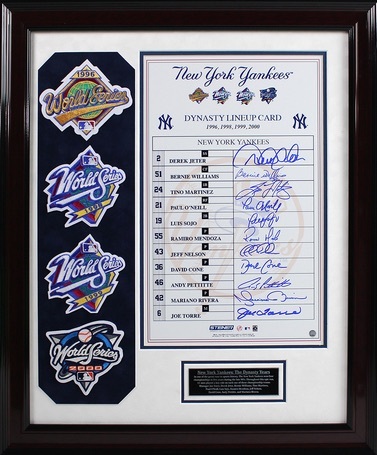 The Steiner Yankees Dynasty Collection celebrates that team with several limited items featuring autographs from 11 Yankees, including Derek Jeter and Mariano Rivera. 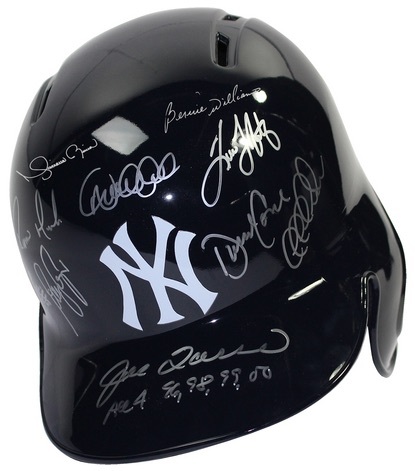 Shop for New York Yankees Memorabilia on Steiner. 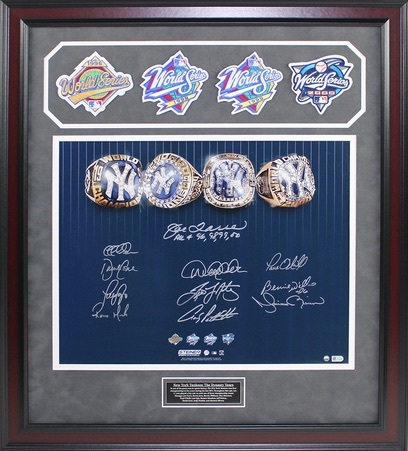 With World Series wins in 1996, 1998, 1999, and 2000, the New York Yankees enjoyed a level of success not seen in modern times. Led by manager Joe Torre and superstar Derek Jeter, the team firmly established itself as one of the all-time greats in MLB history. All items can be seen below with specific print run information. Each image and listing links directly to the options currently available on Steiner Sports. 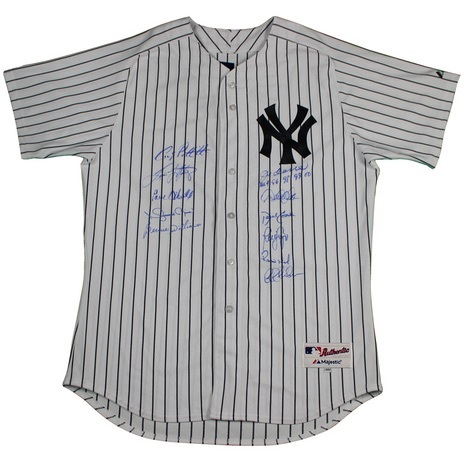 The majority of the items also include an inscription from Torre that notes each of the title years. 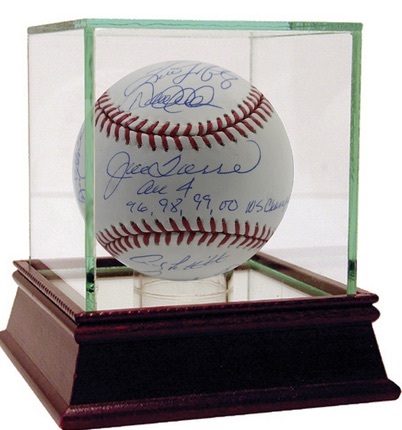 While these are high-end pieces with prices to match, because of their exclusive partnership with the team, Steiner offers quite a few other New York Yankees collectibles that fall across all budgets.